Situated in the ever popular Trunch Lane area of Chapel St Leonards, Bell Bank caravan park offers a central location within close proximity of all the entertainments of Chapel St Leonards. Bell Bank, situated adjacent to Golden Anchor Caravan Park is a smaller park with a more lively and friendly atmosphere, extremely popular with younger families and proven to be an ideal base from which to sub-let your caravan should you wish to do so. Further details regarding caravan ownership on Bell Bank can be obtained from the Golden Anchor office. 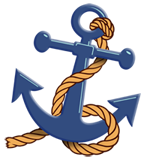 Polite Notice: please remember that our Golden Anchor Sales Office Is Always Open 9-5 7 days a week During the Season for all your site and sales Enquires. Blue Anchor Leisure Ltd are now offering excellent part exchange Rates & Over Allowances on all caravans during the Year. Please fell free to contact Viv or Scott in Golden Anchor Sales Office for a No Obligation Quote. Telephone 01754 872292. Bell Bank will open it's gates for the 2018 season on Wednesday 7th March. I always think of Bell Bank as being an extension of Golden Anchor,it's a small friendly Holiday Park and once people have a plot on there they never move, they will upgrade their Caravan over & over again keeping the same plot. So GOOD NEWS for all you people that want to join this little communite, we now have a couple of plots that have just come vacant. So please don't just think about call into the site office or call 01754872292 and book that plot. Bell Bank Invites you to view our sites and sales area & meet the Sales manager Vivien White. Our Site Manager Andy will be on hand for any site questions you may have and Sharon & Atlanta our receptionist will help with any site enquiries, they can be found at Golden Anchor site office. Monday to Sunday between the hours 9am till 5pm. Why not pop in for a chat you never know you may even get a coffee. ***** Dont forget to collect your free passes***** These passes include free entry to: Golden Palm indoor swimming pool. Free entry to our club tropicana. Each Caravan Will Receive 6 Passes for the club Tropicana. 1 x pass for each family member.